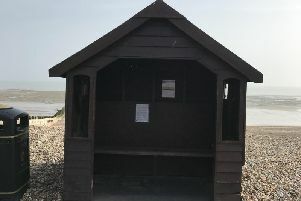 A man has criticised a Rustington betting shop after he claimed they had not paid out on his winning bets from the weekend. Tony Perrin, from Rustington, said Coral, in Sterling Parade in The Street, has also stopped taking new bets. He said shop staff told him the delay was due to ‘technical issues’. He said: “I don’t see how, in this day and age, they can’t pay out because of ‘technical issues’. “Why can’t they just give people their money? I feel for the old dears who go in there every day. Mr Perrin said he won with a £5 bet on the outcome of this weekend’s Ryder Cup, including predicting the correct score, but has not received his winnings. Coral has been approached for comment.